At The Kids Bedroom Company we hunt down beautiful, high quality themed bedding, decorations and accessories for children. Our products come from all over the world, as far as Australia/New Zealand right back to the best of British. Wir bei Homescapes Europa Ltd. produzieren, importieren und vertreiben qualitativ hochwertige Heimtextilien, Bettwaren und Wohnaccessories. Gingerlily's reputation is built on the quality and design of its broad range of silk filled bedding, silk bed linen and silk products. 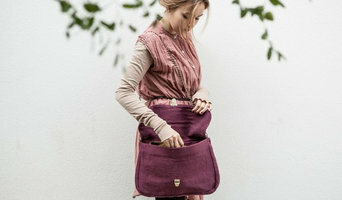 All products are designed in-house and are made from the finest quality "A" Grade long strand Mulberry silk. Sleeping on silk has long been recommended by leading dermatologists as an anti-aging tool. Less absorbent than cotton, silk helps skin retain its natural moisture keeping it soft, supple and helping to reduce fine lines and wrinkles. Silk is also hypoallergenic and therefore recommended for allergy sufferers. Once Milano specialises in luxury homeware, with a focused on linen products, all designed, sourced and produced in Italy. We aim to the best available artisans to make the best quality products. We want to inspire and create a lifestyle for everyday's life, full of colours, passion and style. Designer & Manufacturer Of Exceptional Quality, Hand-Crafted Bathroom Accessories, Washstands & Towel Warmers. Please Visit Our Website For More Information. At King of Cotton we have an absolute passion for cotton. We love its natural essence. We praise its flexibility and we respect its strength. We are one of the longest standing providers of cotton products to the hospitality business and yet our love of cotton means we never stop thinking about what is new. Our desire to create fresh ideas and to develop products knows no bounds. We source the best linen products from around the world to ensure we can satisfy the needs of a demanding and changing market. 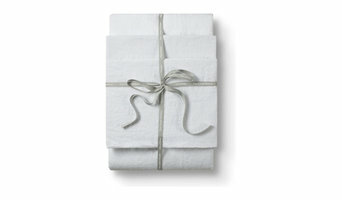 Sheridan is Australia's best brand of luxury bedding, bathroom towels and loungewear. 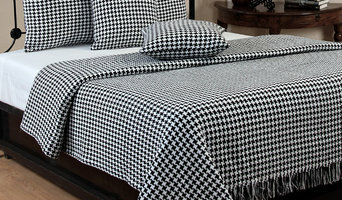 Sheridan's product range is all about luxury and includes bedding, bed sheets, quilt covers, duvet covers, pillowcases, luxury bathroom towels, bathrobes, cushions, table linen, fragrance and baby products. Sheridan was founded in Australia by visionary entrepreneur Claudio Alcorso in 1967. As a boy working in the family textile printing business in Italy, Claudio acquired knowledge and a love of textiles. When he migrated to Australia, he brought with him an inherent understanding of the importance of quality as well as his passion for art and beauty. At Sheridan, we believe that beauty should be crafted to last. Genuine passion, meticulous care and skilled craftsmanship are values worth celebrating. After all, the details make all the difference. We love that our artworks are all bespoke, and hand-painted by artists in our Sydney design studio and that we employ a team of skilled artisans. We are proud to manufacture our creations all over the world – seeking out the very best technical capability to achieve superior printing or weaving construction bar none, but no matter where a Sheridan piece is created, it is put through its paces by our in-house quality team in Australia. All these things leave us feeling happy and gratified – which is good news, because we have the highest standards in the industry to meet: our own. At Sheridan, we believe that beauty should be crafted to last. Genuine passion, meticulous care and skilled craftsmanship are values worth celebrating. After all, the details make all the difference. We love that our artworks are all bespoke, and hand-painted by artists in our Sydney design studio and that we employ a team of skilled artisans. We are proud to manufacture our creations all over the world – seeking out the very best technical capability to achieve superior printing or weaving construction bar none, but no matter where a Sheridan piece is created, it is put through its paces by our in-house quality team in Australia. All these things leave us feeling happy and gratified – which is good news, because we have the highest standards in the industry to meet: our own. A thoughtfully created and beautifully made range of bathroom accessories designed for living the country life. We work alongside a team of wonderfully skilled and passionate makers and creators to design gorgeous bathroom accessories you won't find anywhere else. Gardezloo products are designed by us and completely unique. We're proud that they are handmade in the UK by artisan makers wherever possible to achieve a true country style finish. We have been selling bedlinen,quilt cover sets and housewares for over 35 years so we know what our customers want,great value & great service and we always try and provide both.